Since the 1990s, Israel has been one of the most important countries in the research on the healing properties of cannabis. The reasons lie in the fact that, exactly in those years, cancer patients were allowed to utilize medical cannabis for the treatment of pain-related issues, thus driving the research to achieve better results for the well-being of those cases. 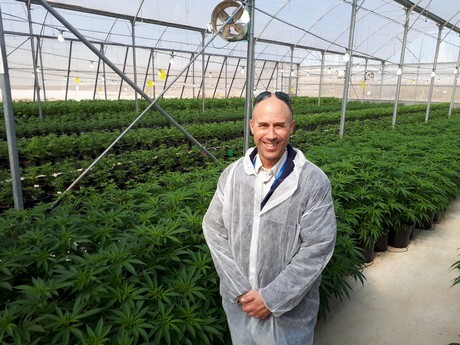 On December 2018, a cannabis export bill was passed in the Israeli parliament, adding another puzzle piece to the “revolution” the country is currently experiencing, as Rafi Gamson, head of the agricultural department at the Institute of Quality Control (IQC), points out. IQC is the largest accredited ISO/IEC17065 certification body for the GLOBAL-G.A.P. standard in Israel. The company issues IMC-G.A.P. certifications which are necessary to each Israeli grower that wants to start a medical cannabis business. 2019-04-17 US (MO): What will take to obtain a license to grow and sell MMJ? 2019-04-15 “The revolution has begun in Israel"